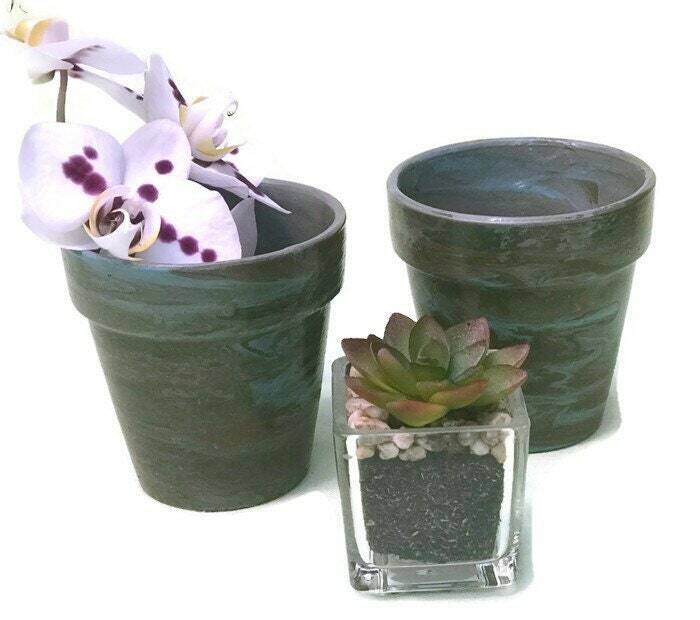 Set of 2 pour painted flower pots! They are polyeurethane glazed inside and out several times for protection! They are 4 inches tall. They would make great gifts, spring or Easter decorations, or even wedding centerpieces! I could work out a deal and custom colors for a large order! I will ship usps within 4 days. Please convo me if you have any questions!